My Top Ten Blog Posts for 2016!! Wow! What a year it’s been!! I thought it would be fun to share with you the top ten blog posts on Peewee.com for 2016!! We’ll start first with number ten and work our way down to NUMERO UNO! That genius Paul Reubens introduced his line of WIGS for KIDS on Conan and you LOVED it!! 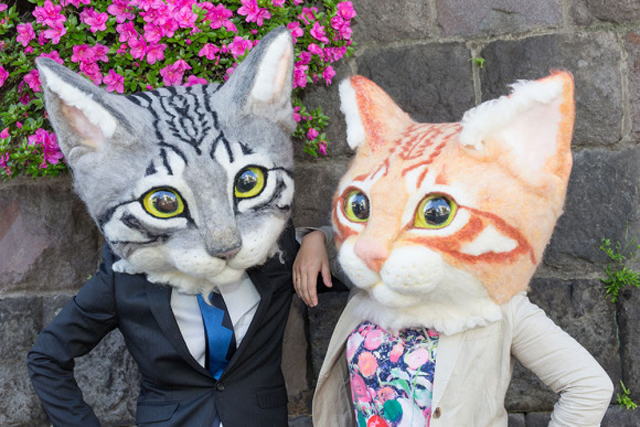 This summer, Japanese wool artist Housetsu Sato put his GIANT REALISTIC CAT HEADS on the market for the first time!! It was my pleasure to share them with you! 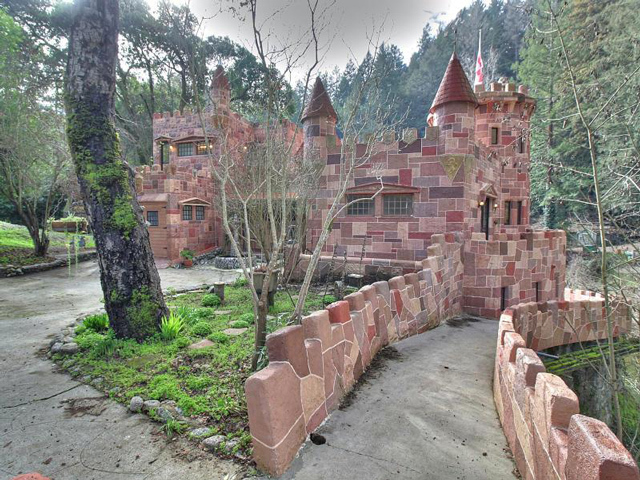 In February, I told you about a special medieval-looking property in the Santa Cruz mountains! 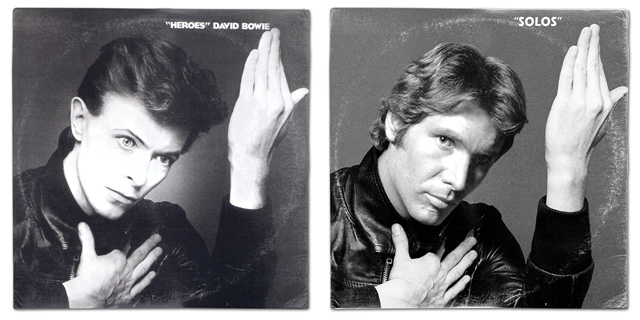 You REALLY liked these Star Wars mashup album covers by digital artist Steven Lear, and for good reason, because they are REALLY COOL! 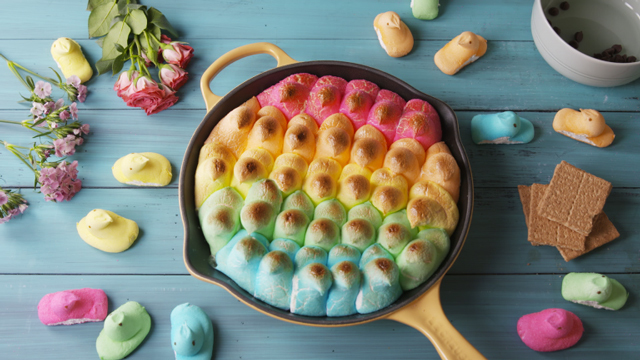 It’s obvious to me why you’d go crazy for this rainbow-y recipe! I mean, just LOOK at it! Learn how to make these extraordinary s’mores HERE. On January 7 I was super excited to announce my new feature-length film, Pee-wee’s Big Holiday, was going to premiere at SXSW in Austin, Texas! And what a fun premiere it was!! If for some strange reason you haven’t seen my new movie, check it out on Netflix! STAT! That amazing talent Paul Reubens is also a BALLOON MAESTRO! But you knew that since this is fourth most popular post on Peewee.com for 2016!! You all had mixed feelings on this one! 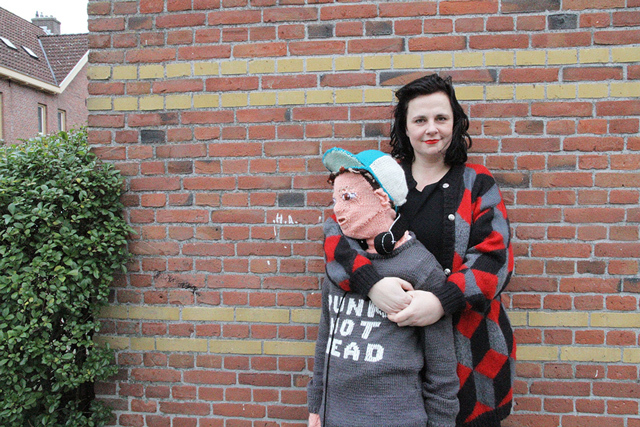 Some of you thought it was really cool but others thought this knitting project was a little weird! 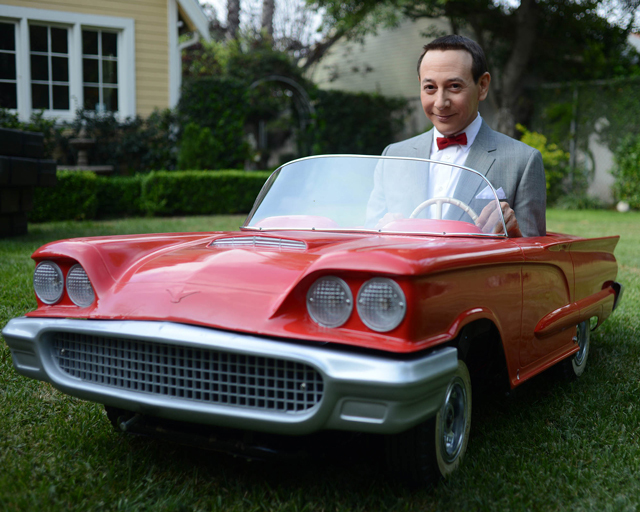 You were excited to see the first clip from Pee-wee’s Big Holiday! Almost as excited as I was to MAKE it and SHARE it! Sure that clip was great and all but, by February, I was FINALLY able to share the FULL-LENGTH TRAILER for my new movie! So many people wanted to see it that it temporarily crashed my site!! THANK YOU ALL FOR BEING HERE WITH ME IN 2016! I LOOK FORWARD TO SHARING MORE COOL STUFF WITH YOU IN 2017!!! When you get a minute, do me a favor and share YOUR favorite Peewee.com post from 2016 in the comments. With pleasure! Allow me to make a list without pictures (for technical reasons). Also, I do not include here the items that are on your list, Pee-wee, – much the same. Without a rating, number 1, of course, your movie and all information about this and also about the activities Mr. Reubens. Also, on my list 12 points. Relative rating, of course! 12. Disico Ball Cement Mixer [December 14th] – very nice! 11. Works of Jane Perkins in BUTTONS and found PLASTIC pieces [November 16th] – I like buttons. 10. The World’s Most Painless ‘Rubik’s Cube’! Complete [October 17th] – because which instruction. 9. Slices of Real Pizza Encased FOREVER in Resin – [September, 17th] – because it forever. 8. Macaron That Looks Like Cactus [June, 14th] – because it is not a cactus. 7. A Popcorn Maker That Looks Like the Stanley Cup [June, 9th] – clever thing. 6. PodRide, a Bicycle That Looks Like a Little Car [April, 19th] – this is a piece cartoon motion. 5. MOP DOGS for MOPPING Floors [March, 3rd] – it is necessary to improve the breed. 1. A. Pants. Pee-wee Herman onto vintage postcards February [21st, 2016] – Just shine! Note. Special item – Mr. Reubens in “Gotham”. They’re really making art. Thank you for your wonderful posts, stories about things, amazing events and people. To be honest, I like everything. I hope the New Year will bring a lot of interesting. Happy New Year, Pee-wee! I wish you and Mr. Reubens happiness and success! I wish you many blessings in the new year! May all your dreams & goals become a reality..
Now I share with you my favorite blogs from here..
There’s so many.. so here’s my top 3 favorite of your blogs..
My favorite post from 2016? To be honest, I haven’t read all the post from 2016. I just discovered your amazing log some months back. But let me go and check. . . Okay, I’m back. I can’t pick a favorite. Do i have to? Oh! All right! Anyway, I hope to read more of your wonderful blogs in 2017! All so good and entertaining! We have a family tradition of watching Christmas at Pee Wee’s Playhouse and this year we upgraded from our old VHS to a DVD! As for your blog, I just recently discovered it, but I did like October 20th, The Koo-koo-kookiest Store-Bought Sid and Marty Krofft Halloween Costumes!! Huge fan, I have all the lunch boxes. Thank you for all the fun and I look forward to much more in 2017!